A sad event happened near her house. The fawn that was born a few weeks ago, appears to have been killed, most likely by a bear. A neighbor spotted what appeared to be a leg from the fawn. Although it is part of nature, Patty, Rob, and the two boys were devastated. Patty had to shake this thought out of her head as she drove to Ivy U. She had just finished reading a book that was to be discussed at the informal book club that she, Rob, Pete, and The Professor held once a month at lunch. Patty was teasing the others that they selected too many World War II books, but she had to admit that A Simple Soldier was fascinating. 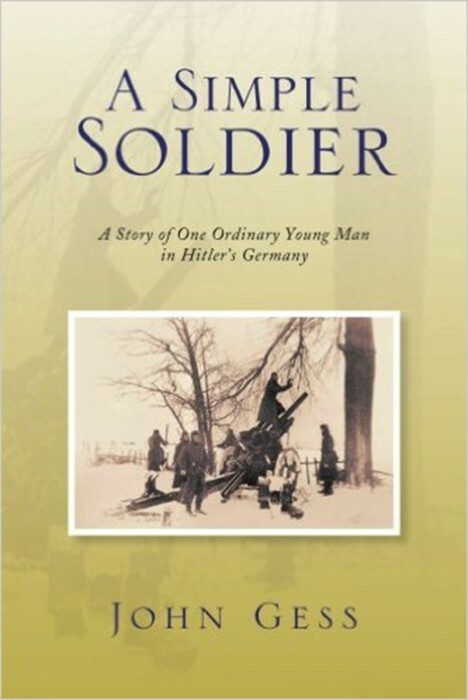 It is the story of WWII as seen through the eyes of an astute, yet common and uneducated young German soldier. He had no political ax to grind, he simply did his duty and lived to tell a spellbinding tale. Figure 1. A Simple Soldier is a great read for WWII buffs. After their “book club” meeting, they had agreed to discuss their findings in reviewing the manufacturing and business processes at ACME to determine why quality was down and costs were up. The Professor had committed to review the company’s lean, quality, and productivity plans. He agreed to speak first. “To start off, the executives I was supposed to meet with rescheduled three times, I find this inauspicious beginning very telling,” The Professor began. “In what way?” Patty asked. “It suggests that the senior management team is practicing what Phil Crosby called ‘Hockey Management,’ or sampling managing one crisis after another with no long-term plan. My planned visits were disrupted by crises,” The Professor responded. “I knew it! Those losers could make eating an ice cream sundae unpleasant,” Pete grumbled. “So, when you finally met, how did it go?” Rob asked. “Well, they had good PowerPoint® slides,” The Professor chuckled. “In addition, even during the meeting, people came into the meeting room three times with new crises,” The Professor sighed. He went on, “After 45 minutes of my questions they, in a sense, broke down and admitted that they were simply managing by the ‘tyranny of the urgent,’” The professor sighed again. “What’s the ‘Tyranny of the Urgent’?” Rob asked. “It’s when you go from urgent crisis to urgent crisis so much that you never have time to do what is important,” Patty answered. “Yes, and never doing important things, assures that you never set up the disciplined processes and workflows that will minimize these types of crises,” The Professor continued. “I see. So, you end up with a vicious cycle of crisis after crisis?” Pete asked. “Hey, I can think of an example. 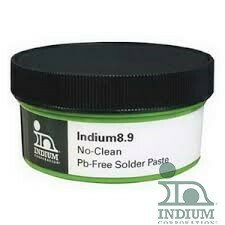 Let’s say you need a new solder paste for printing extremely fine features, like 01005 passives. You don’t take the time to perform proper solder paste process evaluations because you’re too busy, you just take the advice from a friend that such and such a paste is good. It ends up that the paste produces many problems that you have to fix on a daily basis, so you’re always scrambling. If you would have performed an eval to begin with you would minimize future crises,” Pete added. Finally it was Patty’s turn to report. “Hey, kiddo. I’ve been waiting to hear if they treat solder paste as a commodity. I want my ice cream sundae,” Pete teased. Pete and Patty had a wager going. Since Patty had only been gone from ACME for a few years, she was confident that the company was still treating solder paste as an important foundation for successful electronics assembly. So, she bet Pete an ice cream sundae that this practice was still in place. “Well, Pete wins a sundae," Patty sighed. "I met with the procurement VP and confirmed that, about 9 months ago, they had all of their material and equipment vendors in and had a pricing contest. The vendors with the lowest prices won. Many of the established vendors refused to participate, which she felt was arrogant. Since I was on a fact finding tour, I just asked questions and didn’t argue with her. But my discouragement was hard to hide; especially when she told me that the company was using XctaPrint solder paste exclusively, because of its low cost,” Patty summed up. Figure 2. Electronics assembly materials and equipment are not commodities. Assembly success depends on their performance. Pete and Rob were stunned. “Of all of the pastes we had tested in the past, that was the worst!” Pete groaned. “It’s amazing that they are doing as well as they are using that paste,” Rob added. “I also found out that, since we left, all lean six sigma efforts, solder paste and equipment evals, and productivity and quality monitoring has just about vanished,” Patty added. “Your old department performed those efforts admirably,” The Professor commented. “The hardest thing in lean six sigma is sustaining the improved processes. It looks like this was a major short coming,” he continued. “They will need a focal point to address all of these problems. The focal point needs to be a strong technical person that can also work with people that might have contrary opinions,” Patty added. “Sounds like a job for Patty Coleman,” Pete teased. “How about Mary Becker?” Rob suggested. Mary was just finishing her PhD in industrial engineering with a minor in materials science and had mentioned to all four of them that she was looking for a job. Everyone smiled and agreed that Mary was a wise choice. She was great technically and also had strong management and people skills. Patty contacted Mike Madigan and suggested that he hire Mary Becker as a focal point for a small group reporting to Mike. The group’s mission would be to resurrect the lean, quality, and profitability processes that Patty, Pete, Rob, and a few others had developed at ACME that had fallen by the wayside. She empathized that sustaining these types of initiatives is usually harder than achieving them in the first place. Patty pointed out that this effort must have Mike’s support and that Mike’s commitment to it must be understood company-wide. Patty agreed that she, The Professor, Pete, and Rob would advise Mary through this effort. In the end, she couldn’t help but also lecture Mike on that fact that assembly materials and equipment must not be viewed as commodities. The materials and equipment must be evaluated for their impact on quality and productivity. Often slightly more expensive materials and equipment, in the long run, are associated with greater profitability due to their positive impact on the manufacturer's production rate, first-pass yield, finished goods quality, reputation, and brand.